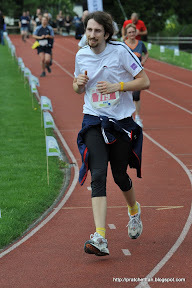 This Spring I participated again in the SOLA Team Relay Race with a team from Zühlke. It was again a great event and I could even improve my time from two years ago, where I ran the same course. Two weeks ago I visited the Mittelalterlich Phantasie Spectaculum in Wheil am Rhein. The weather was great and we had a fantastic day. A highlight was Des Königs Halunken, which was their first time as part of the Spectaculum. Some Pictures can be found in my gallery.